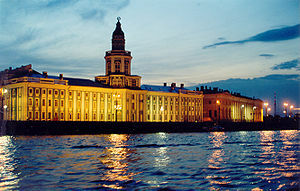 In about ten days, I will be arriving in St Petersburg. I absolutely cannot wait. About six months ago, we started discussing a weekend break. We talked about Bruges and Paris. We considered somewhere sunny. Then, having never considered Russia before, we began to think about visiting St Petersburg. We researched flights and hotels, and eventually, a few hours later, settled on a British Airways deal. I thought that, for once, it might be fun to just pick a country, a city, a hotel and then book it. As a massive control freak, it was a fairly novel experience. Unfortunately, the lack of organisation raised a few challenges. A visa being one of them. Not only is the visa itself £50, but there is an additional admin charge of almost £30. I couldn’t believe that I was being charged an administration fee for something that is basically administration itself. But, once you’ve booked flights and a hotel, you really have no choice but to sort out a visa. So, now we have a flights, a hotel and two visa and I’m hoping that my better-late-than-never research has pre-empted any other problems. But you can never be too sure! Thankfully, I’m not the only one to have struggled to organise a Russian visa. You can check out Russia: Will I ever arrive? for more visa woes. It’s certainly more complicated than any other visa I’ve required. One thing that I definitely need to do is to kit myself out with some winter-friendly gear. While London is pretty cold, I’ve been led to believe that Russia is much, much colder. I’ve had the weather app on my phone updating me daily and I’m beginning to think that minus temperatures are pretty likely! Hopefully, with warm gloves, jackets and shoes, it’ll be enjoyable nonetheless. And I’m secretly really hoping for snow! I’m also hoping to take some photos which will be blog-friendly (i.e. not rubbish), but photography is not a particularly strong skill so you’ll have to wait and see! This entry was posted in Europe, Planning, Travel and tagged Europe, Russia, St Petersberg, Travel, Visa.